This book applies the techniques of systemic functional grammar to the description of the Old English historical dialect, 650-1150 CE. Systemic functional grammar is an approach to the description of language which distinguishes three separate functions in communication: language as representation, language as attitude, and language as the construction of text. Most applications of systemic functional theory have concentrated on modern English. This book is the first comprehensive description of the Old English dialect on systemic functional principles. The book begins with an outline of systemic functional grammatical theory. It then describes the Old English clause with a separate grammar for each of the three general functions it serves, the representational, the attitudinal, and the text-formative. Other areas covered include structures and functions within nominal, verbal and adverbial groups; relationships among clauses; embedding; and cohesion. 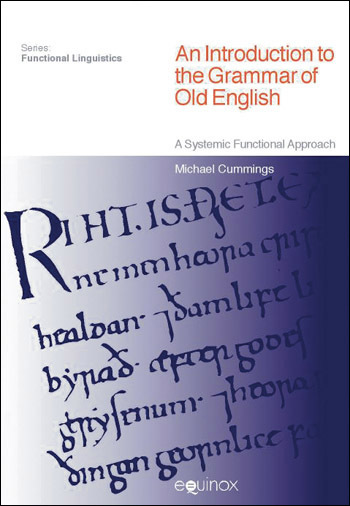 The book is thus designed to suit the needs of systemic functional grammarians who are interested in the historical development of the English language. It is also designed for students of Old English who are looking for ways of explaining the grammatical system of Old English on terms other than those of traditional grammar.